The query [[Brickipedia News:+]] was answered by the SMWSQLStore3 in 0.0090 seconds. Images of many 2019 sets have surfaced in the last couple of weeks, take a look at these ones from Architecture and Star Wars and let us know what you think in the comments below! First Fantastic Beasts set revealed! LEGO has revealed one of the two upcoming Fantastic Beasts sets on Twitter. 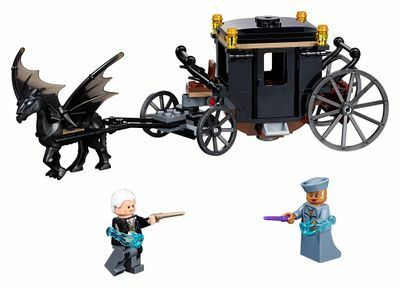 75951 Grindewald's Escape‎ features a Thestral-drawn carriage with Gellert Grindelwald and President Seraphina Picquery minifigures. Walmart has created pages for four upcoming sets with images, giving us our first look at some upcoming sets. 10760 and 10761 are from the Incredibles 2 Juniors line, while 75931 and 75932 are Jurassic World sets. However, 75932 is actually based on a scene from Jurassic Park, with characters from the first film, and was created to celebrate its 25th anniversary. Check out the images below and let us know what you think! This year's New York Toy Fair has begun- while there wasn't as much on display as most other years, here's a look at the new sets that were revealed which we didn't already have pictures of. 21313 Ship in a Bottle, the latest LEGO Ideas set to be produced, has been revealed by The LEGO Group. The 962-piece set will go on sale in just under three weeks, on February 1. LEGO has put up images of the opening 2018 wave for Elves on their site. This wave the Elves and Emily Jones are rescuing elemental-based animals from Noctura and her bats. Check out the images below and let us know what you think! 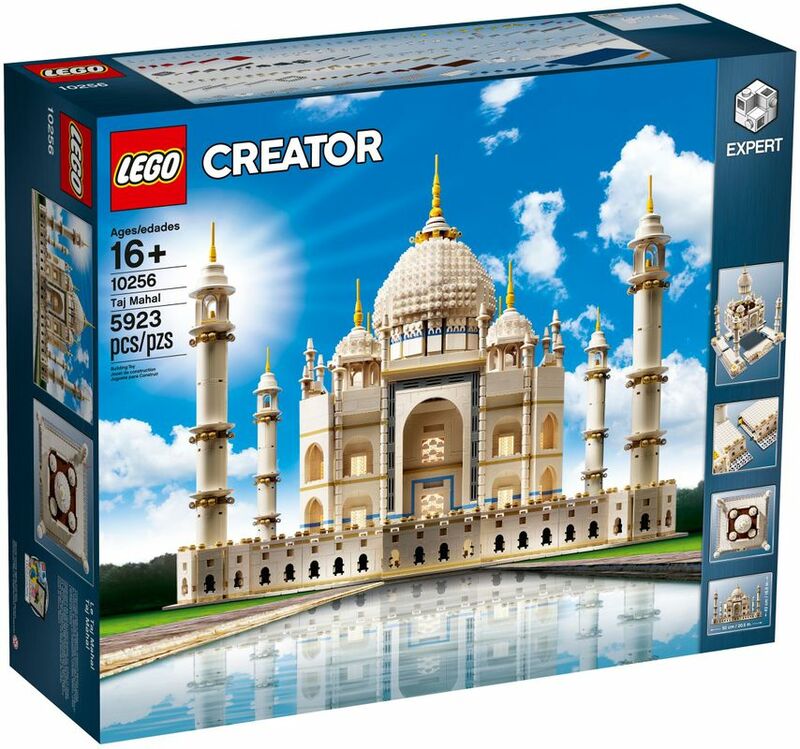 LEGO has unexpectedly revealed 10256 Taj Mahal, a re-release of the original Taj Mahal model. The new set contains 5293 pieces, just one more piece than the original. There's no confirmation, but many are assuming this extra piece to be a brick separator. The set will cost $369.99 USD/£299.99 GBP/€329.99 euros and will be released on November 27, 2017. More images below. What are your thoughts on this set? Let us know in the comments below! Several new images for 2018 City, Creator and TECHNIC have gone up on LEGO.com's servers, giving us our first good look at these sets. Check them out below and let us know what you think!